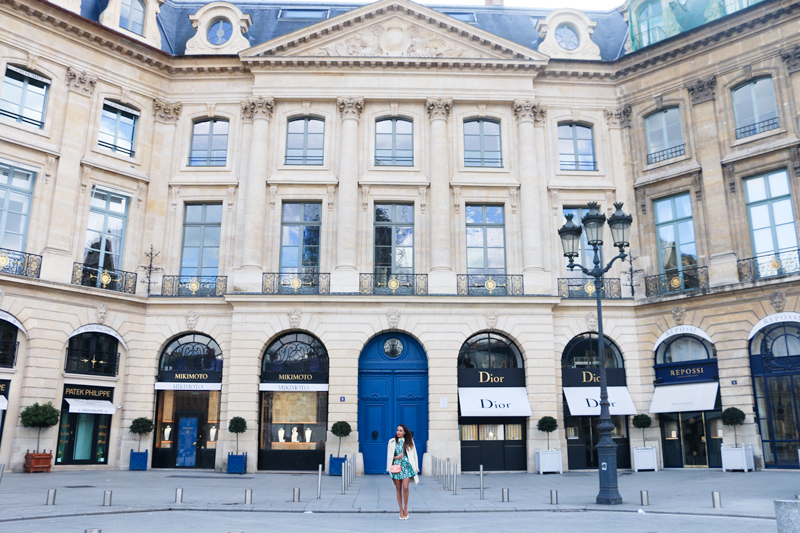 When in Paris, visit Place Vendôme on a Sunday. The entire city was quiet as we walked the streets with little or no distraction. This popular tourist destination almost seemed as if was shut down for boyfriend and I to stroll through and snap pictures (of course!). I wore this pretty full-skirted dress on the train ride from London to Paris and topped it off with a classic beige trench. I’ll be sharing more pictures from New York, London & Paris very soon! Stunning dress, so girly and cute. I love that you added a white dress underneath. Such a gorgeous post babe! Love all the photos ! !